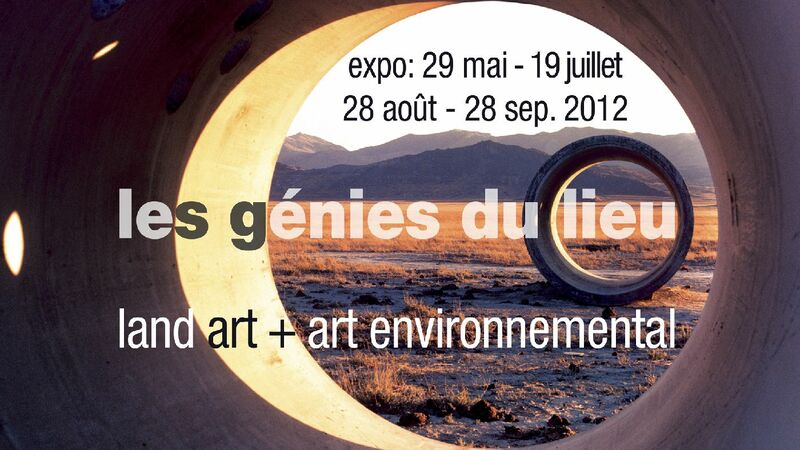 During the last 15 years, the Gassendi Museum, located in Digne-les-Bains, has developed a number of projects at the intersection of art, science, and landscape, essentially on the vast territory of the Haute-Provence Geological Park, where the artists Andy Goldsworthy, herman de vries, Paul-Armand Gette, Joan Fontcuberta, and others have created major pieces. Opening reception: June 14, 5:30 PM. 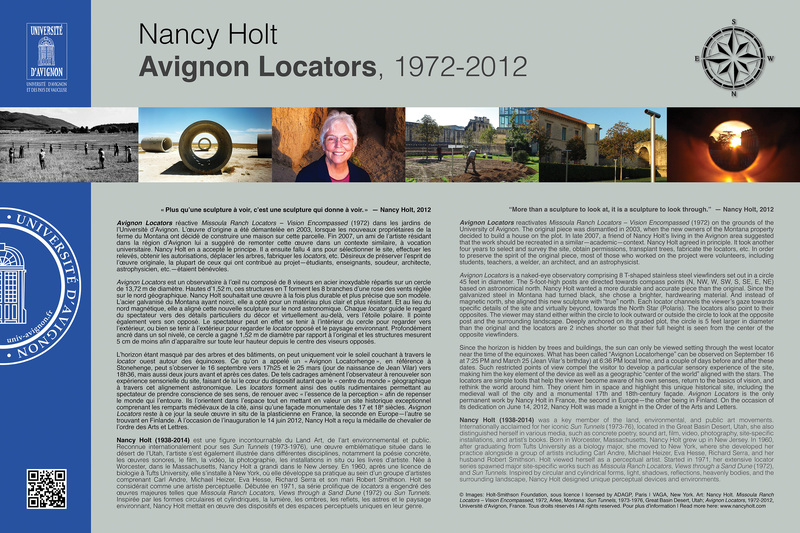 Avignon Locators (1972-2012) was dedicated on June 14, 2012. On this occasion, Nancy Holt was made a knight in the Order of the Arts & Letters. 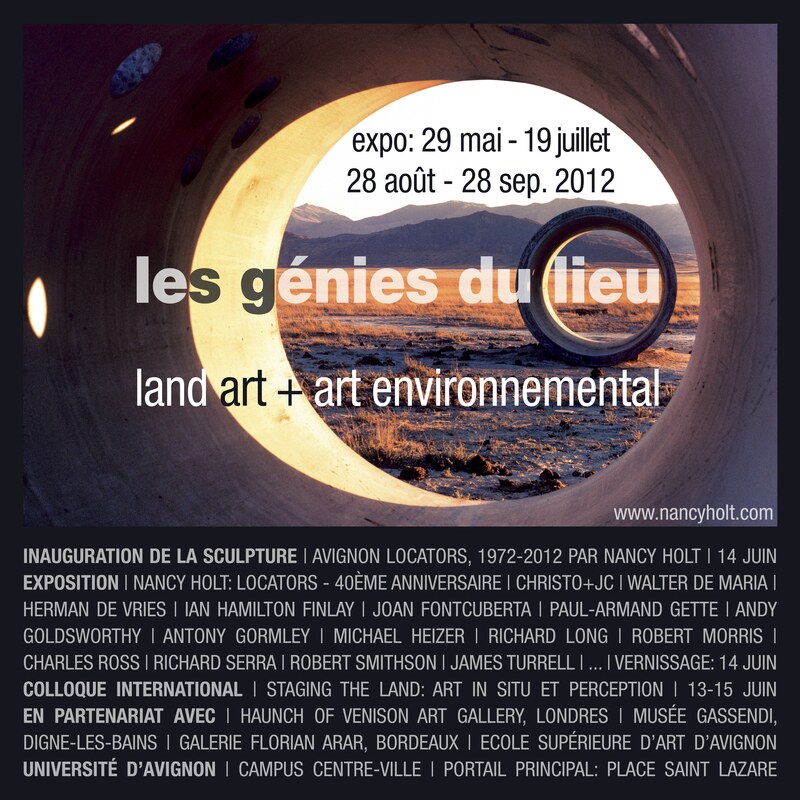 Vernissage: 14 juin 2012 à 17h30. 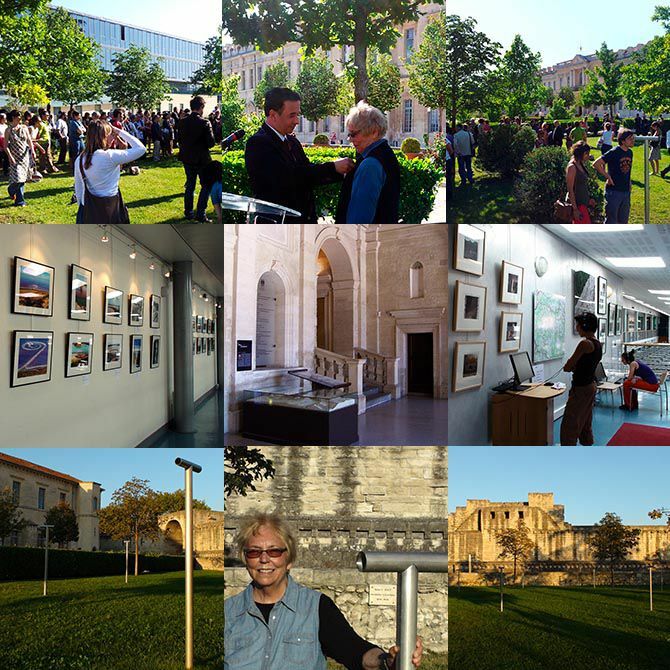 Avignon Locators (1972-2012) a été inaugurée le 14 juin 2012. A cette occasion, Nancy Holt a été faite chevalier de l'Ordre des Arts et Lettres. Avignon Locators dedication and 'Geniuses of the Place' opening/exhibition. Université d'Avignon, France. © Photo Serge Paul, June 2012. Art: Holt-Smithson Foundation | ARS, New York | ADAGP, Paris.